HHeavy duty dual wall smooth interior poly culverts. Flush out much faster than steel and will not rust. 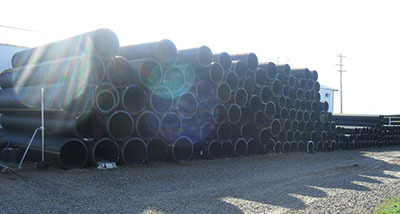 All diameters from 4" through 48" in stock. Galvanized aprons in stock also.